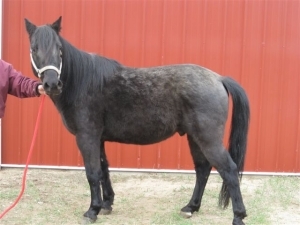 Lester is a very nice 2009 bay pony mule gelding who stands 12.2hh. 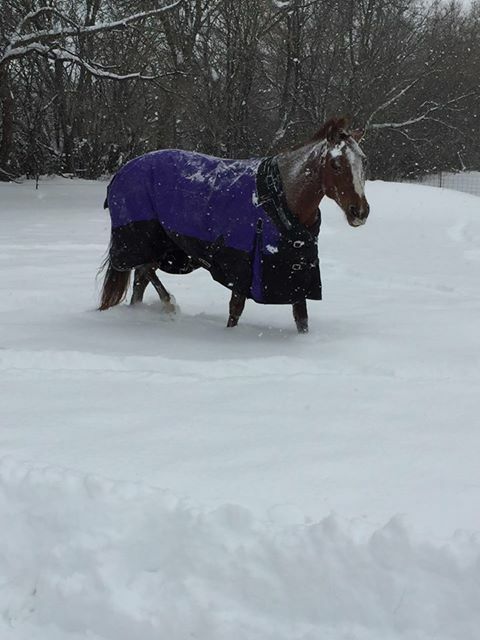 He is not broke to ride but he has good ground manners. 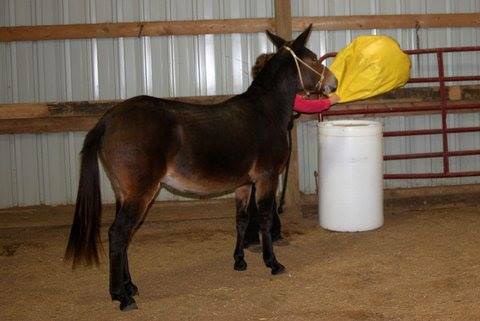 Lester originally came in during the 2011 “Fillmore 55” humane case. 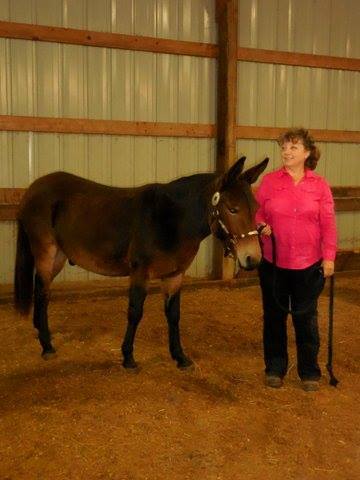 He had major trust issues at intake but thank you to trainer Deb Anderson he is now very friendly and well-behaved! 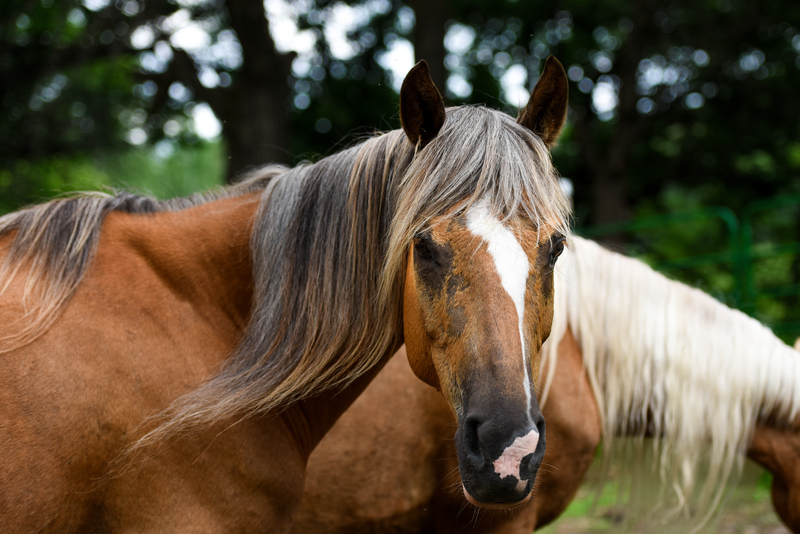 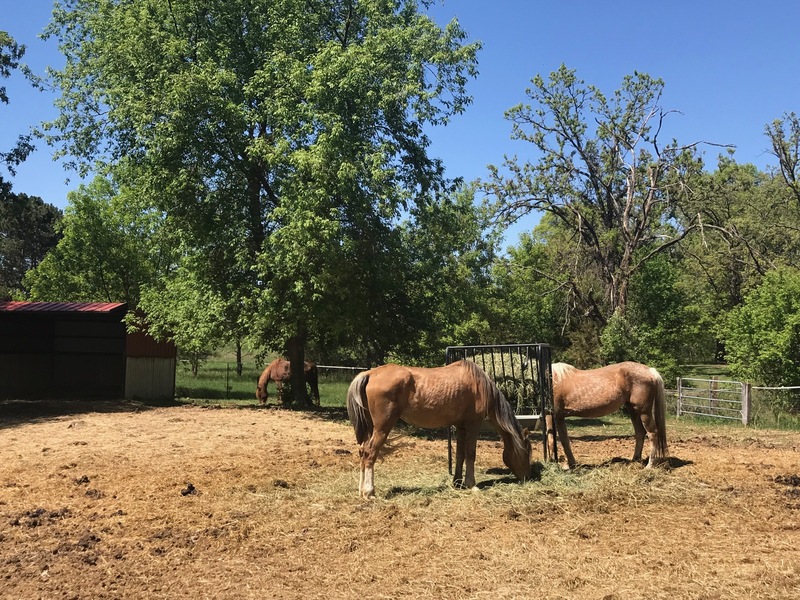 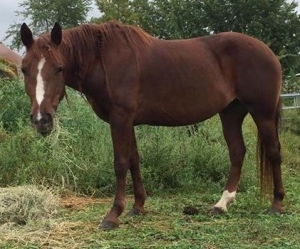 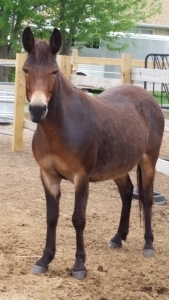 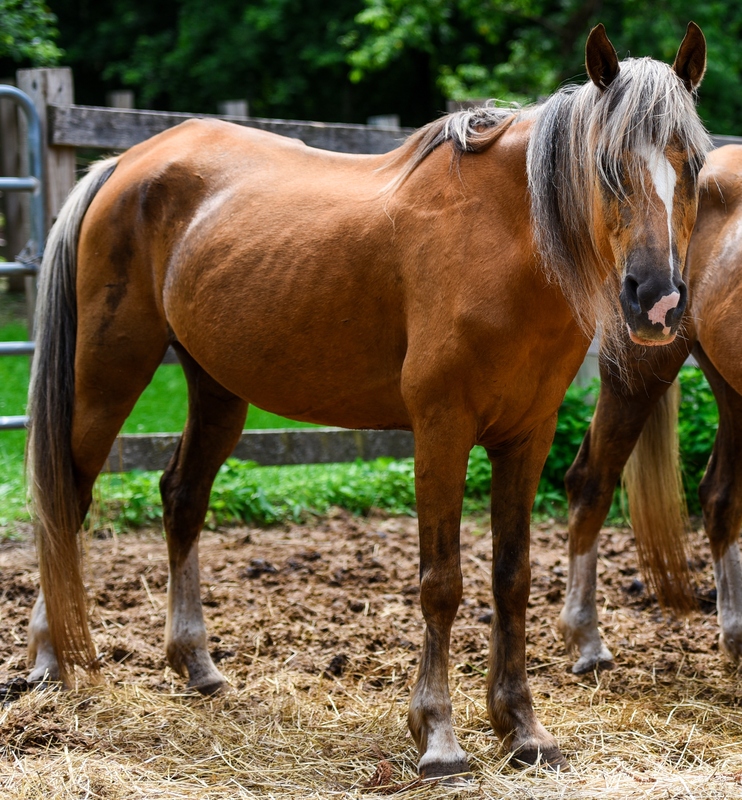 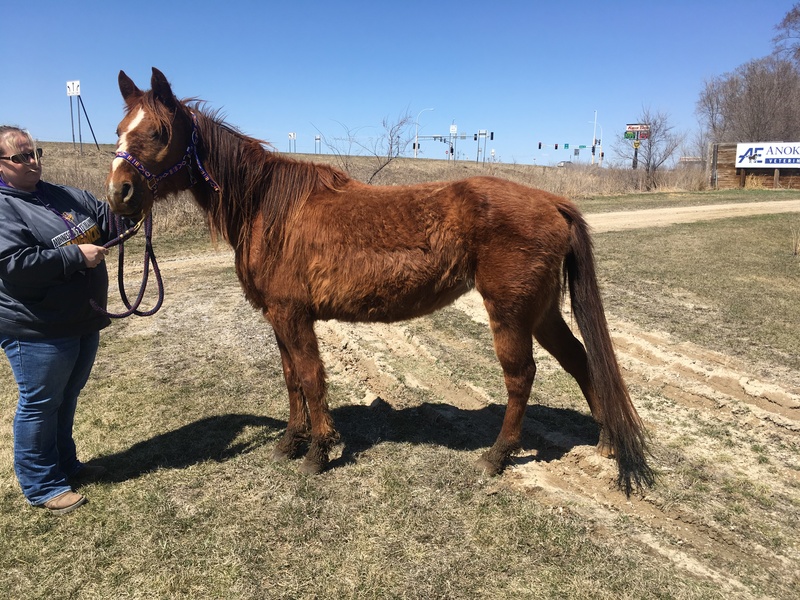 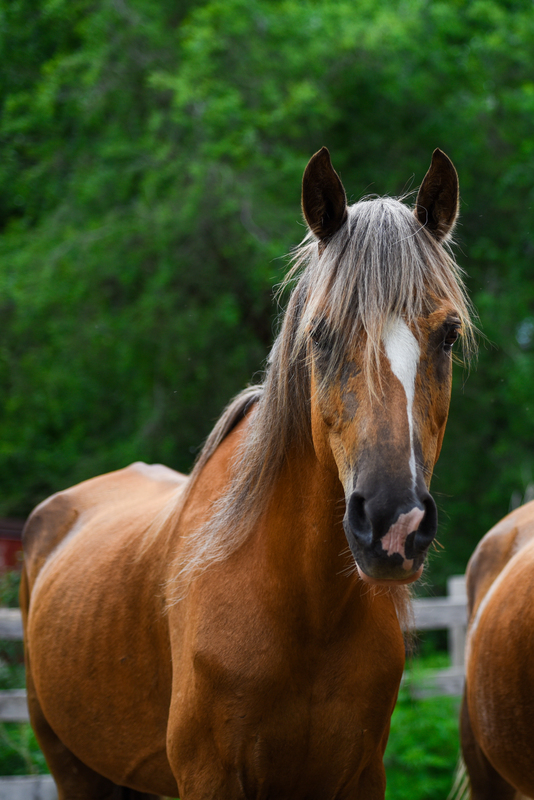 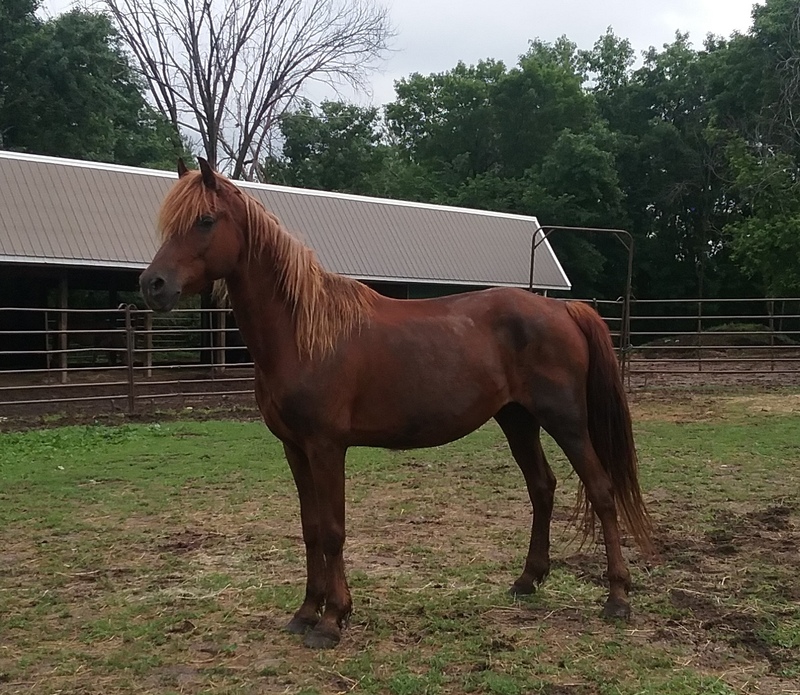 Jemma is a chestnut mare who came to us from a late-April 2018 Brown County humane case. Her estimated age is 5-7 years. 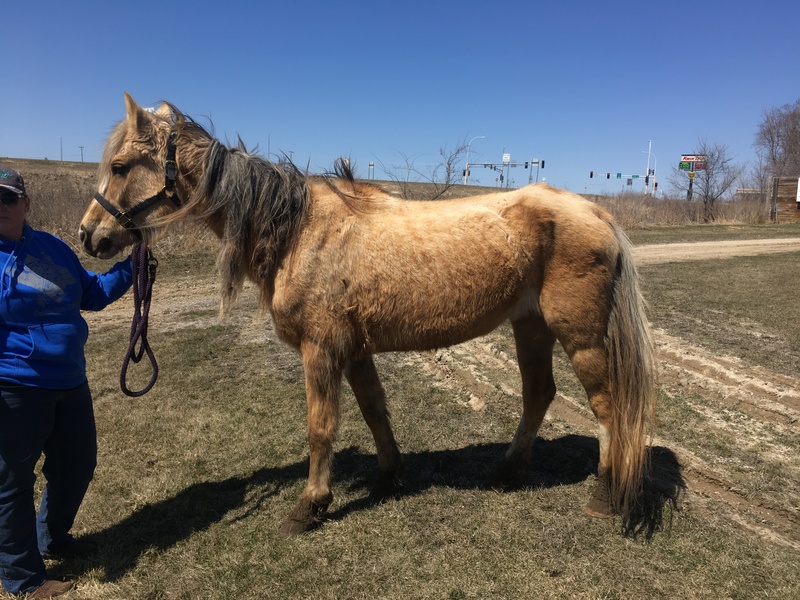 She was underweight at intake and badly in need of veterinary care. She has been preg-checked and is not in foal. 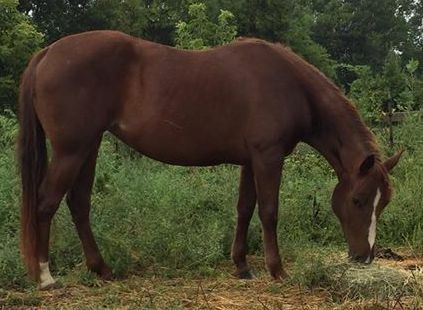 We don’t know her breeding but we believe she is a Morgan cross (most likely with quarter horse). 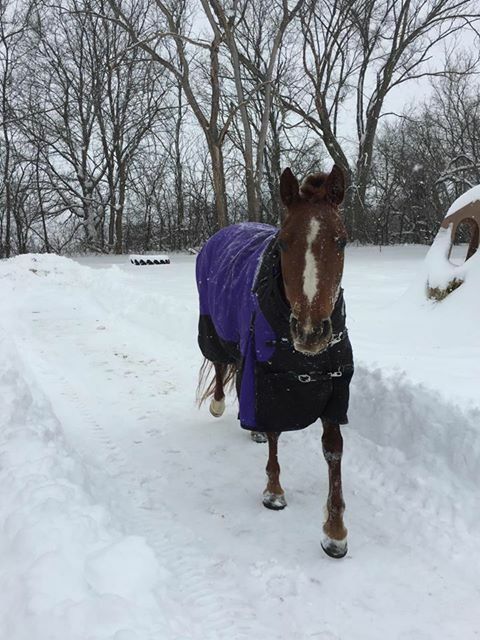 Jemma is not broke to ride so she has been placed with trainer Nate Stener for our 2019 Trainer’s Challenge. 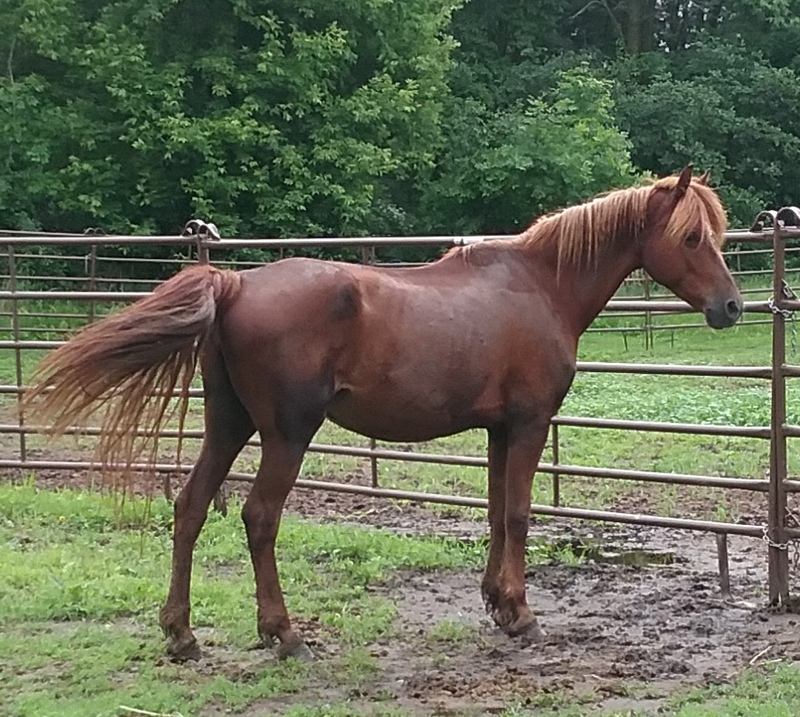 She will spend the spring and summer in training and will compete in the Challenge on Sept. 7th. 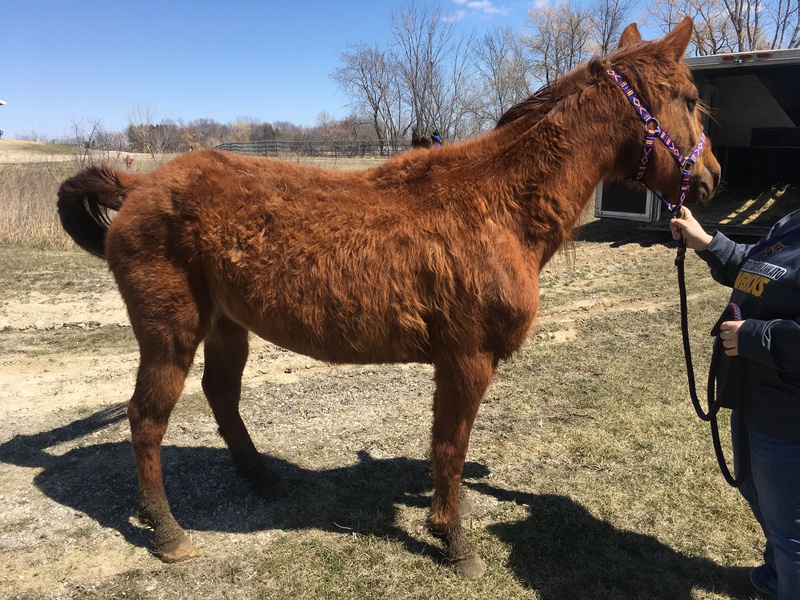 For more information on how to adopt Jemma or any of the other horses at the Trainer’s Challenge, please visit our Adopting a Trainer’s Challenge Horse page! 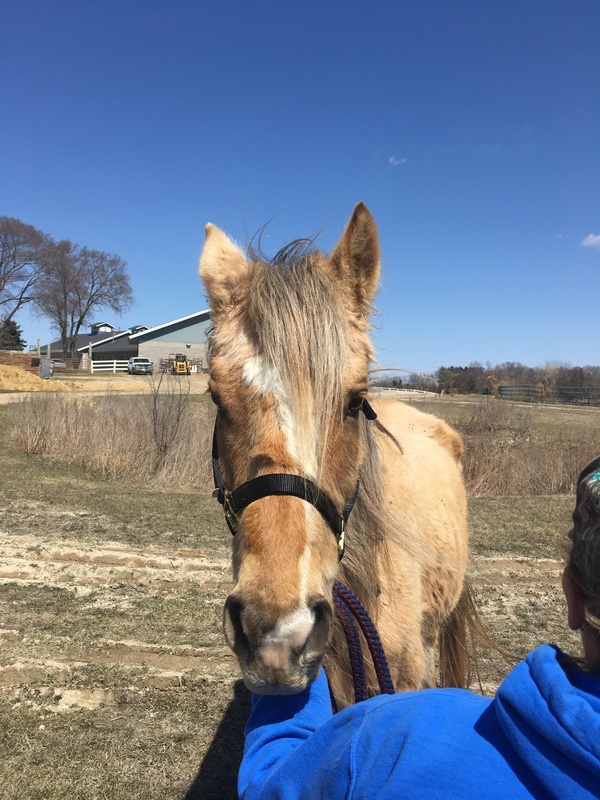 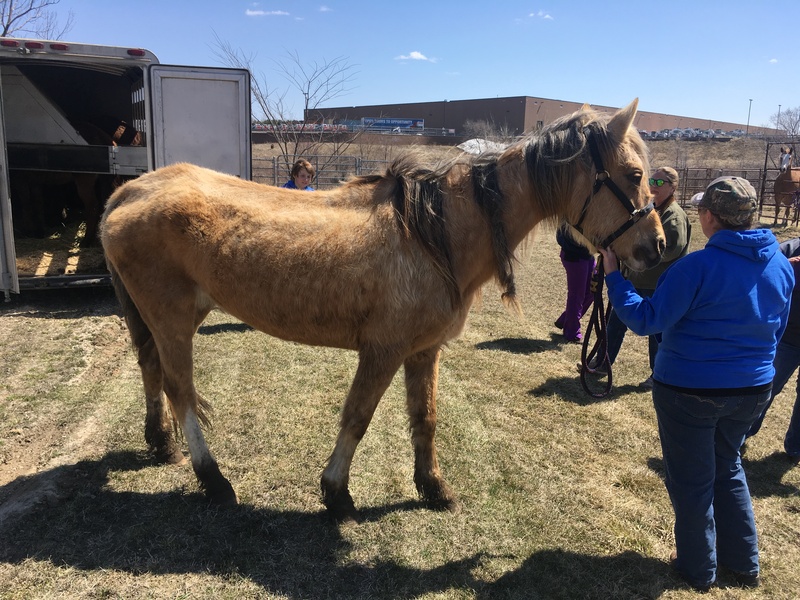 Isabeau is a uniquely colored palomino mare who came to us from a late-April 2018 Brown County humane case. 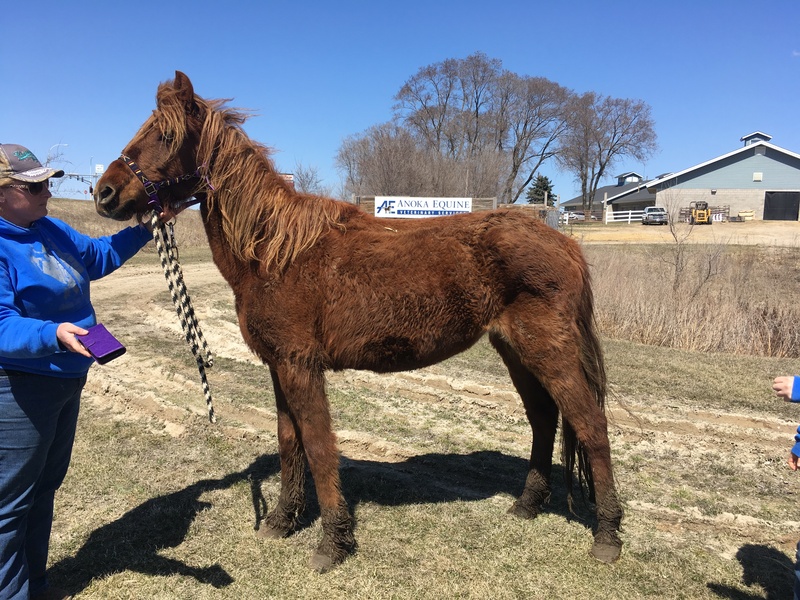 DNA results from the American Morgan Horse Association have proven that she is MEMC American Idol and was foaled in 2005. 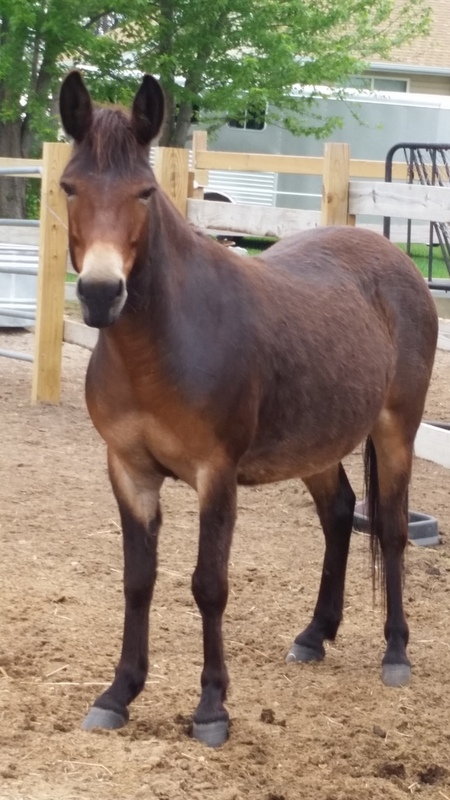 She has had all of her veterinary work completed, including dental work and preg-check (she is not in foal). 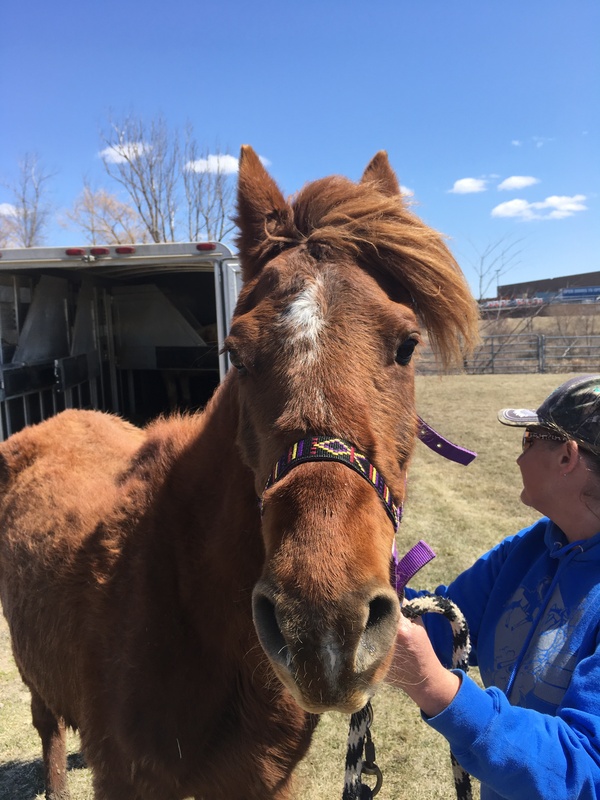 Her dental exam showed she had many sharp points and hooks and it appeared that she had not any dental care for many years. 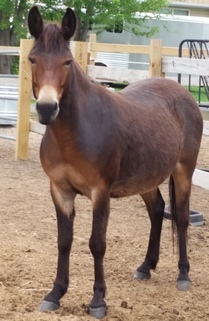 She has spent the year in our rehab program but is now at a good weight and is ready for a new home. 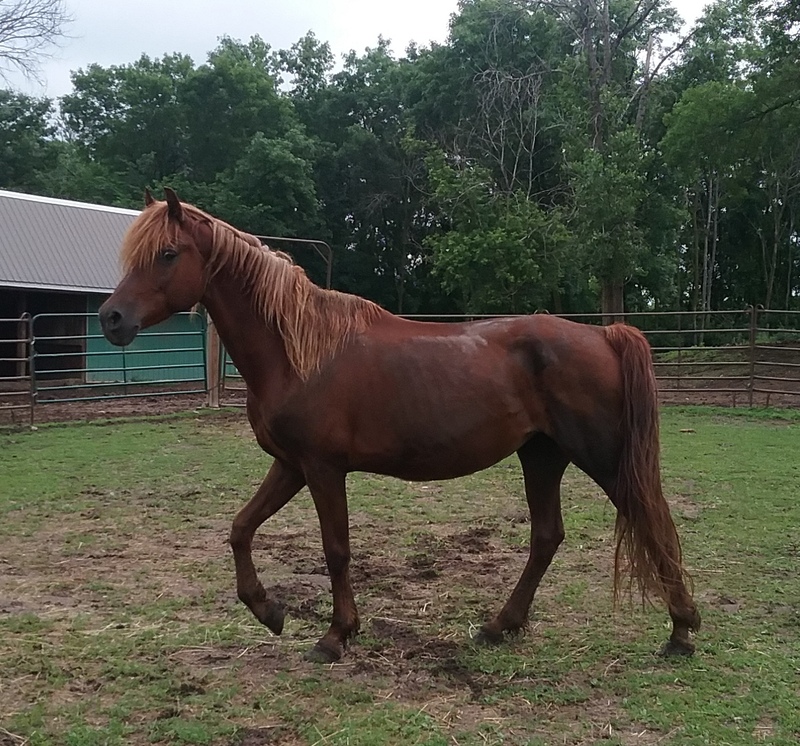 She is not broke to ride and has now been placed with trainer Marirose Berner for our 2019 Trainer’s Challenge. 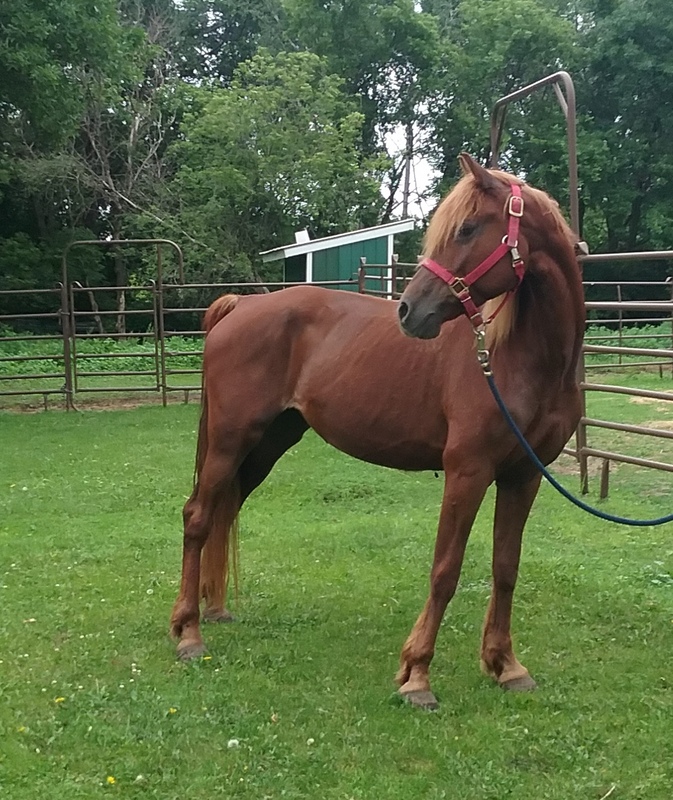 She will spend the spring and summer in training and will compete in the Challenge on Sept. 7th. 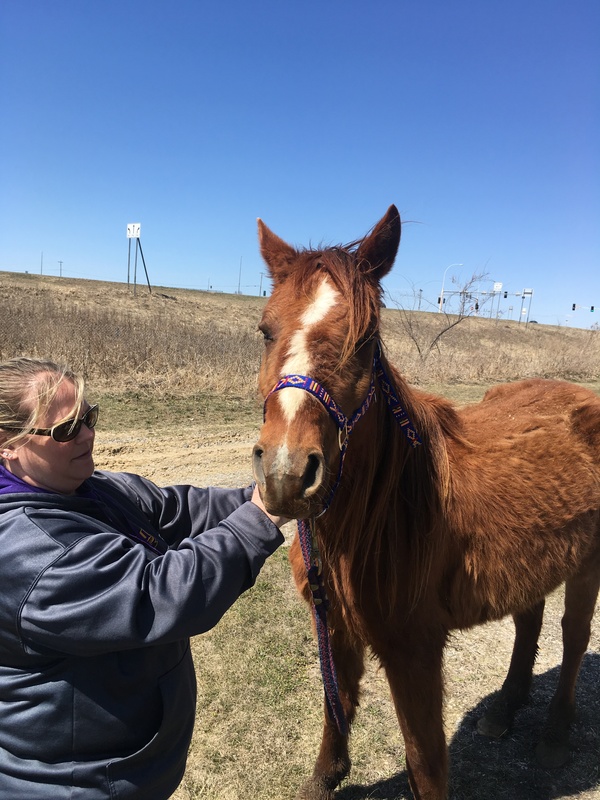 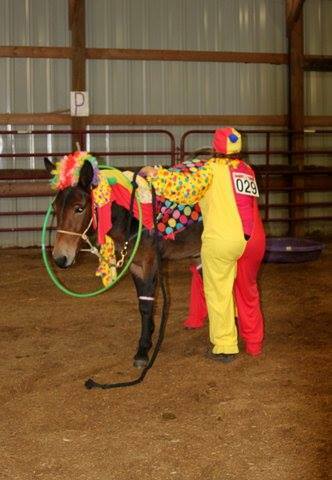 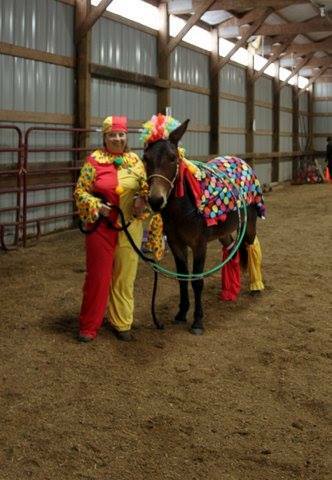 For more information on how to adopt Isabeau or any of the other horses at the Trainer’s Challenge, please visit our Adopting a Trainer’s Challenge Horse page! 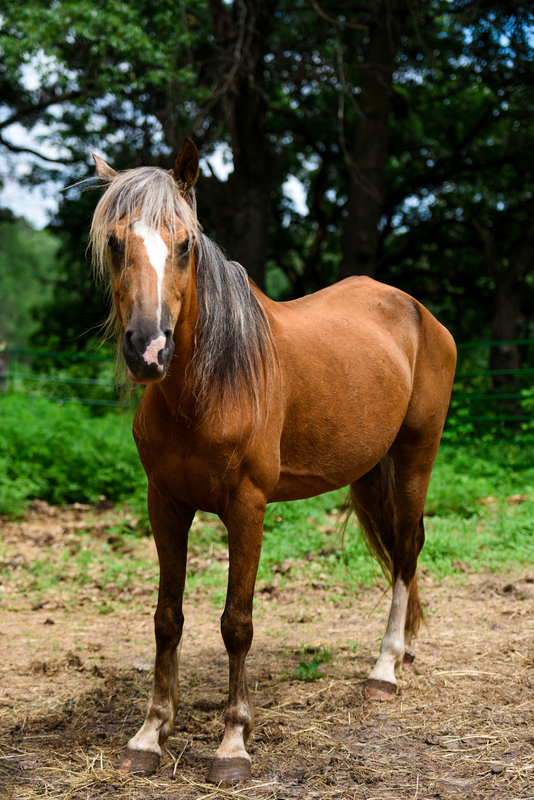 You can follow Marirose and Isabeau’s journey on her Facebook Page!